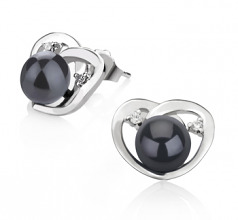 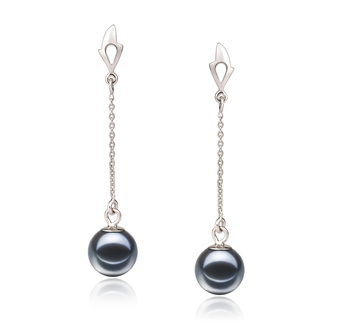 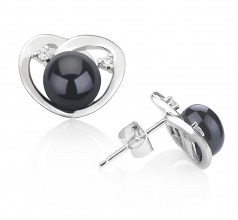 The ultimate in refined elegance, these Black Freshwater Pearl and Sterling Silver Earrings bring on the contrasting colourings of black and silver to a new level and hold it with ease. 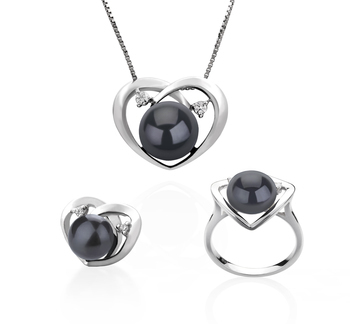 The sensual display of the heart with its slight crossing of its top “closing arms” signifies the warmth of its love and tenderness. 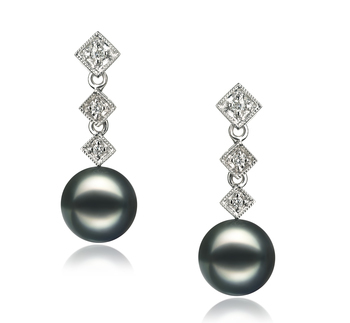 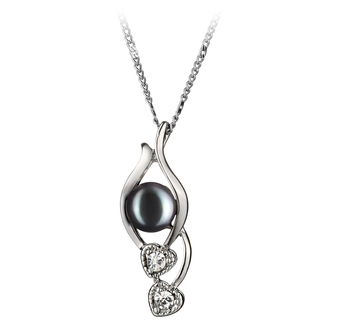 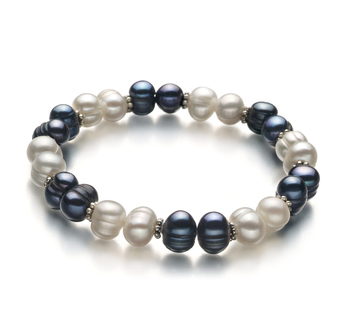 The large 7-8mm dyed Black Pearl sits front and centre and commands the respect of its powerful position. 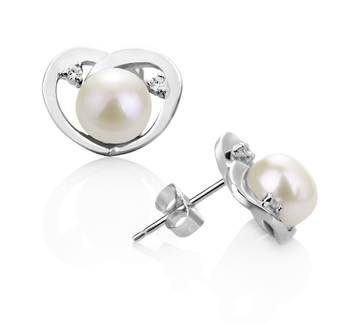 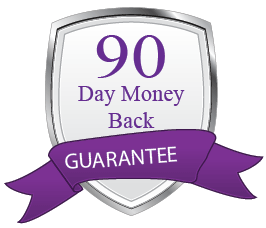 While the .925 sterling silver and its two cubic zirconia accents add to the pearl’s AAA lustre and create the loving shine over the AAA button shaped pearl. 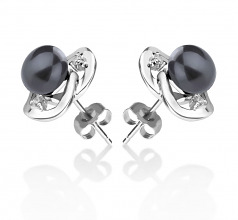 These earrings will bring an air of sophistication to any wardrobe give the opportunity to shine.